Allegra Boverman/Gloucester Daily Times. 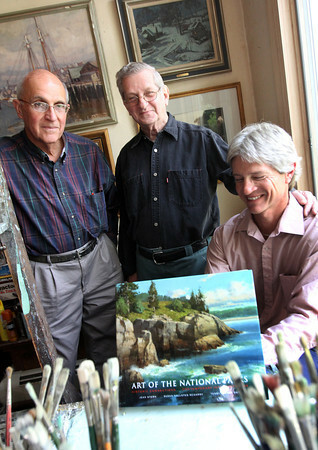 Three area artists are featured in the new book titled "Art of the National Parks." From left are Charles Movalli, Tom Nicholas and his son T.M. Nicholas.